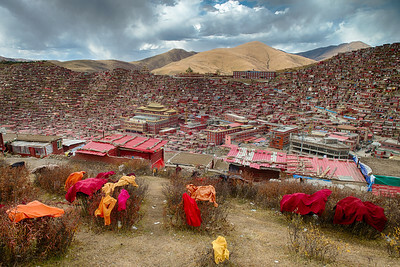 Monks drying their laundry at Larung Gar Buddhist Academy. 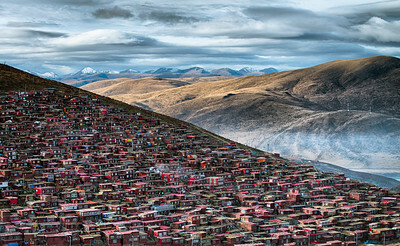 Laundry above the valley. 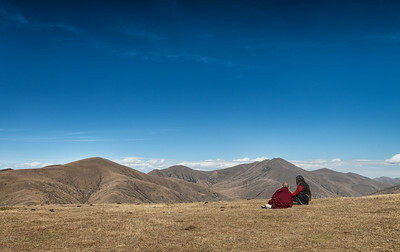 At 4000m height the climate is very dry. 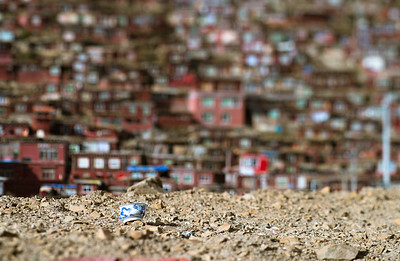 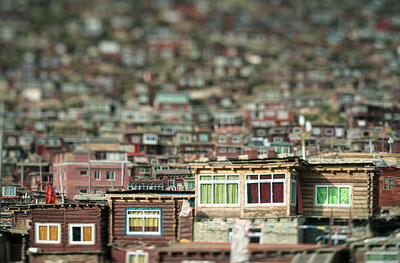 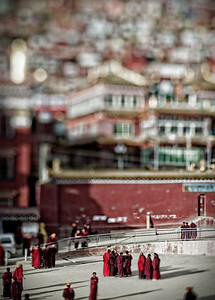 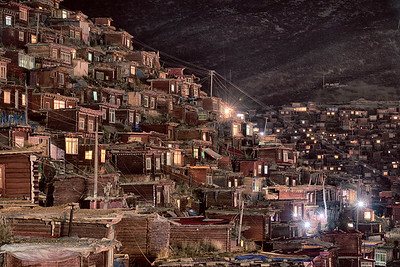 Morning in Larung Gar. 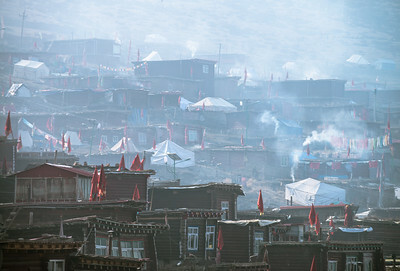 The smoke is coming from the kitchens below, preparing breakfast. 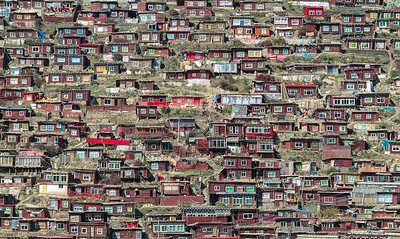 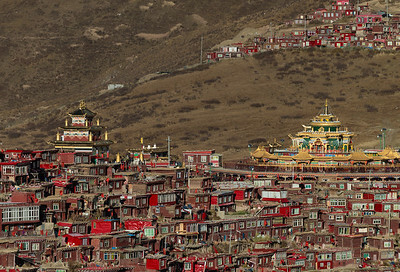 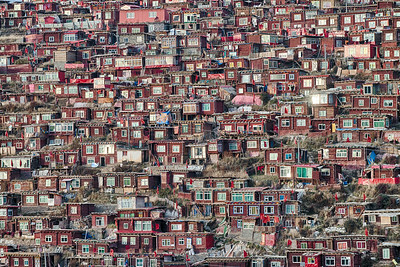 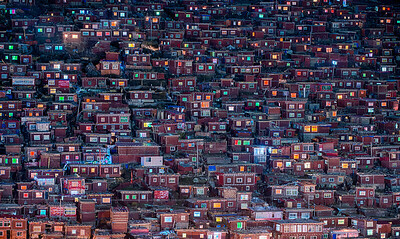 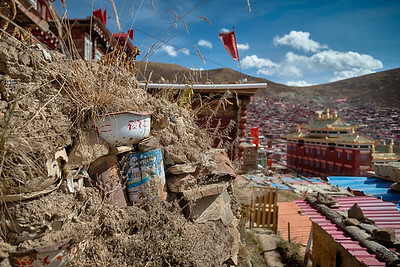 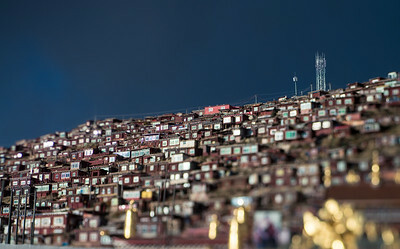 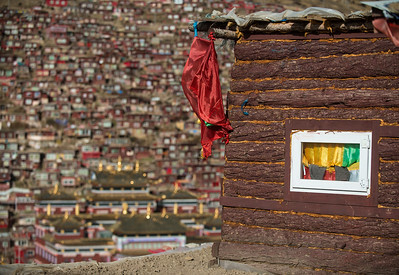 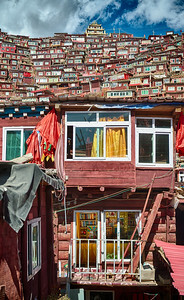 Larung Gar Buddhist Academy, also known as Serthar Buddhist Institute, sits in the Larung Valley at an elevation of 4,000 meters. 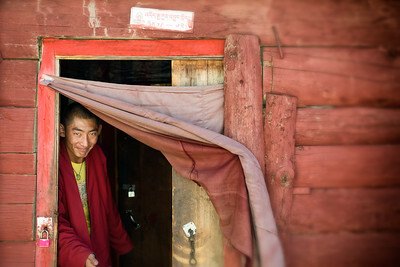 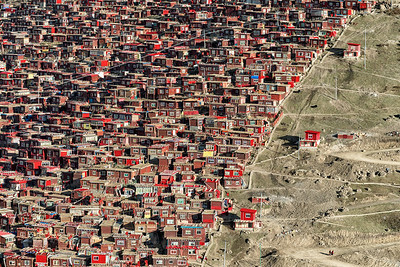 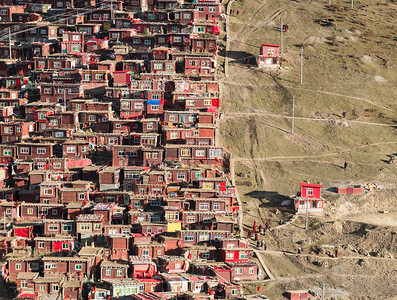 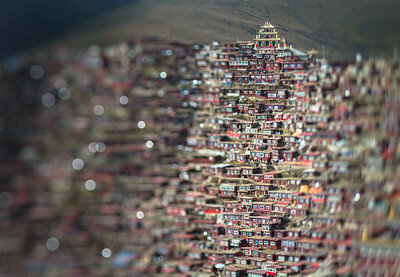 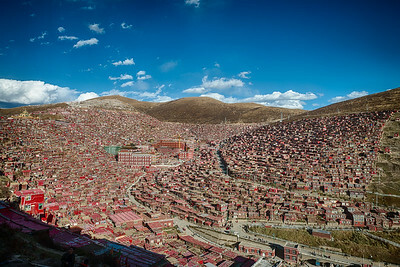 With about 20 thousand monks and nuns this is the largest Buddhist settlement on the world. 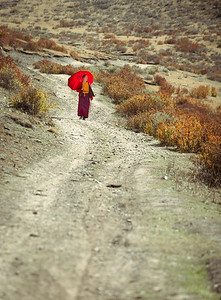 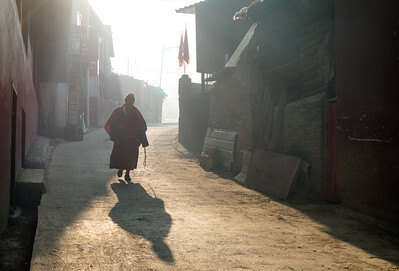 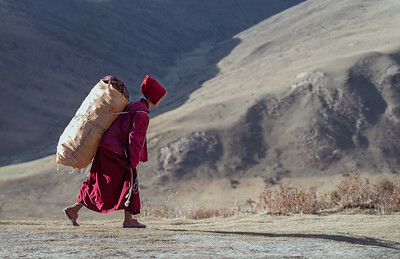 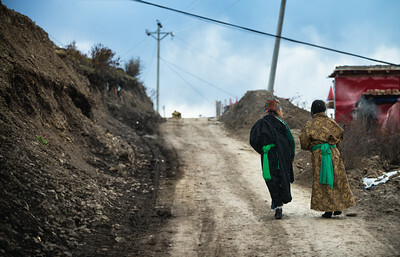 Nun carrying dried yak manure, used for heating. 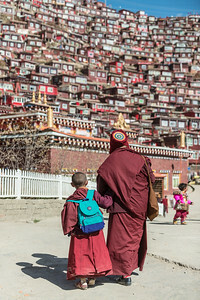 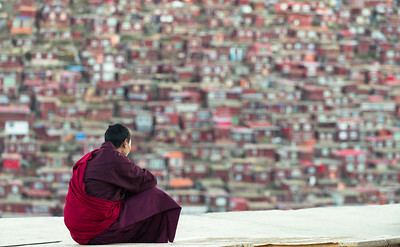 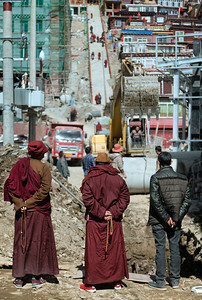 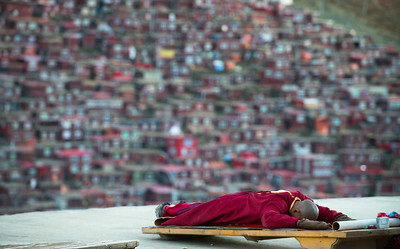 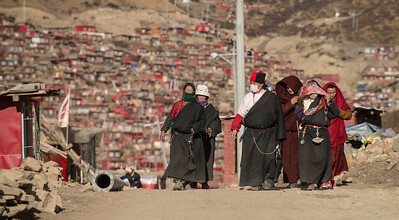 Pilgrims and monks at the Utmost Bliss Dharma Assembly in Larung Gar Buddhist Institute. 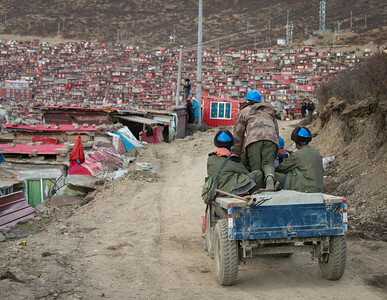 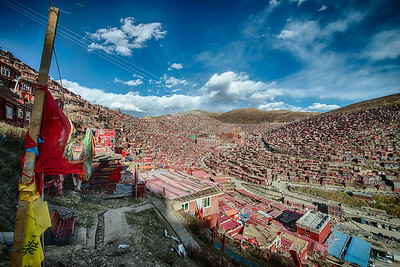 Two hundred thousand Tibetans gather here (many of them by foot) from three provinces for this eight-days long religious festival. 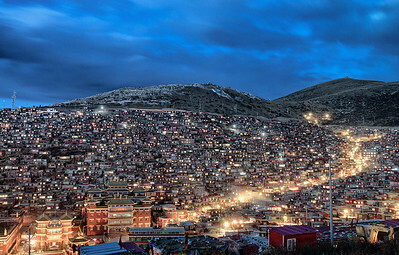 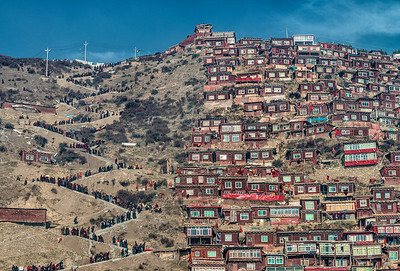 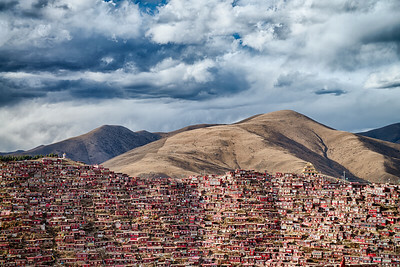 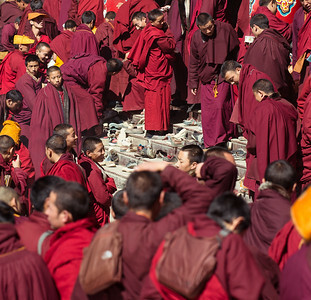 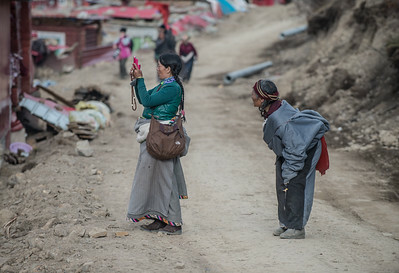 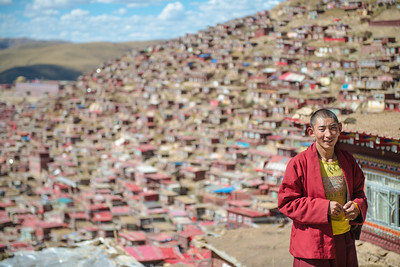 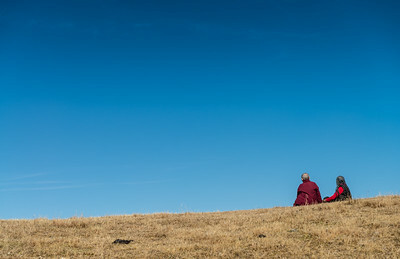 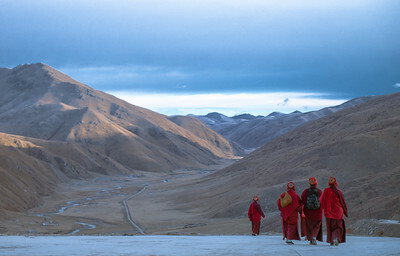 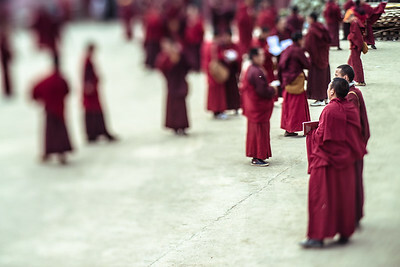 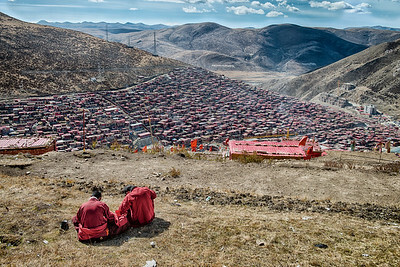 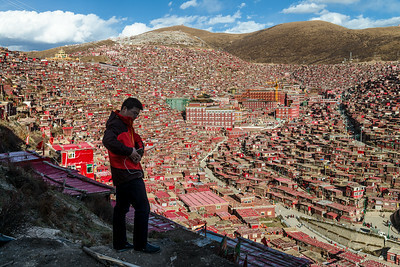 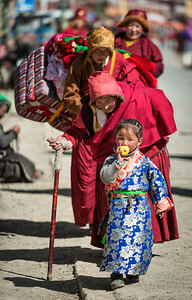 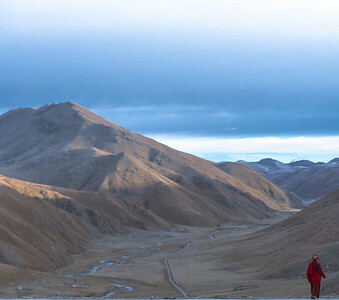 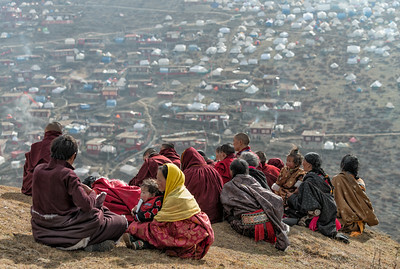 Thousands gather on the hills in the morning to participate in ceremonies given by high lamas.